Pascal will segue into launching a production venture at the studio in May, the company announced Thursday. The outcome is the denouement to an unprecedented attack on the studio that became a global incident, with President Obama declaring that the hack was perpetrated by North Korea, whose leader Kim Jong-un was angered over his depiction in the Sony comedy. Pascal had been widely believed to be untenable in her position after hackers leaked the entire contents of her email, revealing embarrassing conversations about movie stars and even the U.S. president. Pascal was forced to apologize for the racially insensitive remarks. Before the hack of Sony, Pascal had long been one of the most powerful executives in the movie industry, though her magic touch in picking movies had lost its luster of late. Pascal joined Sony in 1988 and was named chairman of the Motion Pictures Group in 2003. She added the title of co-chairman of SPE in 2006. “Amy’s creativity, drive, and bold choices helped define SPE as a studio where talented individuals could take chances and push boundaries in order to deliver outstanding entertainment,” Michael Lynton, CEO of Sony Entertainment, said in a statement. Pascal was present to support producer Stephanie Allain who was getting an award. “Sony Pictures Entertainment has maintained one of the most impressive track records in the film industry for providing platforms for film properties that highlight the African American experience. The studio also has a solid track record when it comes to hiring executives of color,” a statement on the organization’s website reads. The movie was ultimately released in a few hundred independent theaters and streamed online on multiple digital platforms. 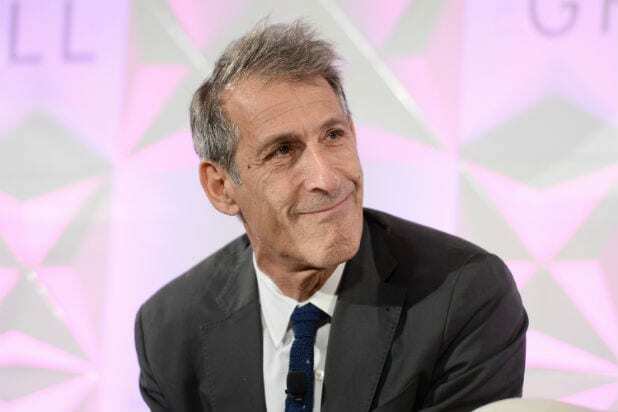 As Sony CEO Michael Lynton announces his resignation, let's look back at one of the darkest periods of his tenure: the Sony hack. News of a massive cyberbreach at Sony Pictures began leaking out in late November. Later reports indicated the studio had been warned weeks earlier. NOV. 24: The hacker group identified as #GOP purportedly took over computers and hijacked Twitter accounts, sending out ominous messages to Sony staff. Read more. NOV. 25: Sony Pictures employees greeted with an ominous image on their computer screens when they tried to log in for the work week. Read more. NOV. 28: Sony struggles to fight #GOP hackers who claim stolen data includes stars’ IDs, budget and contract figures. Read more. NOV. 30: Investigators know North Korea is unhappy with comedy "The Interview," which makes light of an attempt to assassinate its leader Kim Jong-un. Read more. DEC. 1: Studio has made progress in restoring critical business systems, insider says at the time. Later reports dispute this. Read more. DEC. 1: Hack analysis: How much will this ‘nightmare’ cost? Damage to Sony’s reputation will be key in determining the cybercrime’s toll. Read more. DEC. 1: Blogger posts a spreadsheet of the top 17 executives earning $1 million or more. Read more. DEC. 1: North Korea denies involvement. A government official previously teased “wait and see.” Read more. 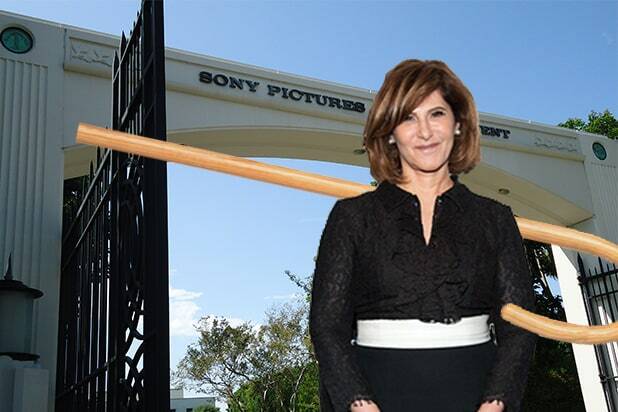 DEC. 2: Sony bosses Michael Lynton and Amy Pascal address "malicious criminal acts" in a company-wide memo to staff. Read more. DEC. 2: Media outlets obtain spreadsheets including social security numbers and detailed performance reviews for 3,000 Sony Pictures employees. Read more. DEC. 2: When asked if North Korea was involved, a spokesman for the communist country’s government replied, “Wait and see.” Read now. DEC. 3: Salaries of ‘The Interview’ stars Seth Rogen and James Franco revealed in Sony hacking leak. Read more. DEC. 4: Hollywood studios ramp up security in wake of Sony hack. Read more. DEC. 4: North Korea reportedly denies involvement in Sony hack attack. Read more. DEC. 4: Sylvester Stallone, Judd Apatow are among 47,000 employees compromised in latest leak. Read more. DEC. 6: Sony Hack Attack "unparalleled," says head of cybersecurity firm. Read more. DEC. 7: Sony hackers reportedly worked from Thailand and may have North Korean ties. Internet leaks of confidential data traced to a five-star Bangkok hotel. Read more. DEC. 8: Sony hackers demand ‘The Interview’ pulled: "Stop immediately showing the movie of terrorism." Read more. DEC. 8: FBI plan to hold employee cybersecurity awareness briefings on the Sony studio lot. Read more. DEC. 8: Hackers sent top Sony execs a threatening email days before the attack. Read more. DEC. 8: Hack exposes celebrity aliases for Tom Hanks, Jude Law, Natalie Portman and more in latest leak. Read more. DEC. 8: Hackers leak sensitive email of Sony execs Amy Pascal and Steven Mosko. Read more. DEC. 9: Hackers reveal animated ‘Spider-Man’ comedy in the works. Read more. DEC. 9: Heated emails between Sony Chief Amy Pascal and Scott Rudin leaked. Read more. DEC. 10: FBI says attack so sophisticated that it would have gotten past "90 percent" of security firms. Read more. DEC. 11: Sony hack attack theory suggests North Korea was involved but had insider help. Read more. DEC. 11: Amy Pascal and Scott Rudin apologize for racially insensitive remarks about President Obama. Read more. DEC. 11: Kevin Hart responds to leaked Sony emails calling him a ‘whore.’ Read more. DEC. 11: Hackers flash disturbing new warning on staffers’ computers. Read more. DEC. 11: Amy Pascal talks to Sharon Waxman about whether she's so damaged she can no longer lead Sony (exclusive). Read more. DEC. 11: Sony had evidence of server breach as early as February. Read more. DEC. 12: Sony orders its name removed from "The Interview" marketing materials. Read more. DEC. 12: Sony arm Crackle pulls hacker movie "The Throwaways." Read more. DEC. 14: Sony demands media stop publishing stolen data. Read more. DEC. 14: Producers reveal hackers stole James Bond "Spectre" script. Read more. DEC. 15: Lawyer's letter confirms "The Interview" was the cause of hack attack. Read more. DEC. 16: Sony hackers threaten 9/11-style attack on theaters that show "The Interview." Read more. DEC. 16: James Franco and Seth Rogen withdraw from press interviews for "The Interview." Read more. DEC. 16: Sony tells theaters they can pull "The Interview." Read more. DEC. 16: Carmike theater chain drops "The Interview" after hacker terror threat. Read more. DEC. 16: ArcLight Cinemas drops "The Interview" amid hacker threats. Read more. DEC. 16: Sony CEO Michael Lynton's emails leaked. Read more. DEC. 16: Former Sony employees file class-action suit against studio. Read more. DEC. 16: Landmark Theaters cancels "Interview" New York premiere. Read more. DEC. 17: Bow Tie Cinemas drops "The Interview." Read more. DEC. 17: Judd Apatow says, "I am going to 'The Interview.'" Read more. DEC. 17: Rosie O'Donnell says she will not see "The Interview." Read more. DEC. 17: Five major theater chains pull "The Interview." Read more. DEC. 17: Sony Pictures cancels release of "The Interview." Read more. DEC. 17: Hollywood outraged at decision to pull "The Interview." Read more. DEC. 17: Per CNN, US Government to announce North Korea was behind Sony hack. Read more. DEC. 17: What are U.S. options if North Korea is confirmed as cyberterrorist? Read more. DEC. 17: Steve Carell’s North Korea movie "Pyongyang" canceled in wake of Sony hack. Read more. DEC. 17: Rob Lowe, Judd Apatow, Michael Moore and others express their outrage on social media. Read more. DEC. 18: Paramount thwarts plans by theaters to replace ‘The Interview’ with "Team America: World Police" Read more. DEC. 18: Newt Gingrich, Mitt Romney, Rep. Peter King and Colin Powell weigh in on the cancelation of "The Interview. Read more. DEC. 19: FBI officially implicates North Korea in Sony hack Attack. Read more. DEC. 19: New Sony leak reveals 50 scripts from Michael Lynton’s inbox. Read more. DEC. 20: North Korea denies involvement in hack attack, warns U.S and offers to join joint probe. Read more. DEC. 20: Sony deletes "The Interview’s" social media profiles in wake of hack, movie’s cancellation. Read more. DEC. 20: Mike Myers returns to Saturday Night Live, reprising his Dr. Evil role from “Austin Powers” to deliver some advice regarding the hack. See more. DEC. 20: RNC chair Reince Priebus sends a letter urging the CEOs of 10 major theater chains to screen “The Interview.” Read more. DEC. 21: President Obama insists on CNN that the Sony hack is "cyber vandalism," not "act of war." Watch more. Dec. 21: Sony attorney says "The Interview" will be distributed despite hackers’ threats. Watch more. DEC. 22: Security experts register doubts about North Korean involvement in hack. Read more. DEC. 22: Sony threatens Twitter with lawsuit if additional "stolen information" appears on the service. Read more.